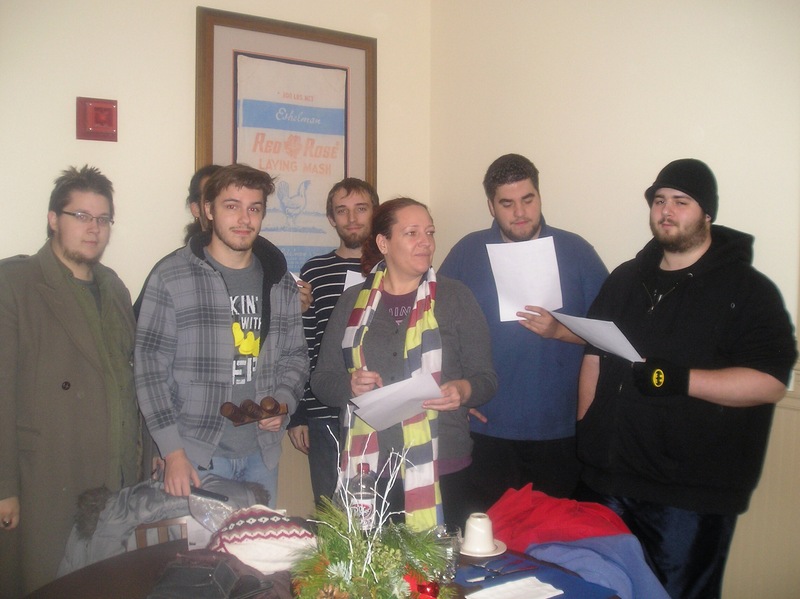 Approximately 20 members of the York County Time Bank spent their evening on Thursday December 19, 2014 singing Christmas Carols with the residents of Autumn House West Assisted Living Facility. 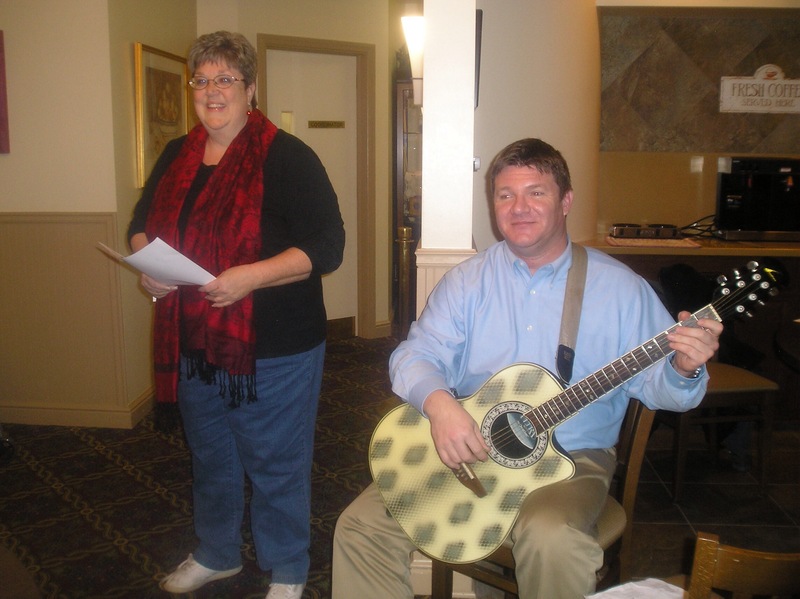 One of our members, Mike, brought his guitar to accompany the vocalists. Polly Weiss organized the event and worked the room to ensure that all participants had a great time. Joli Harrington brought percussion instruments that transformed the audience into participants! 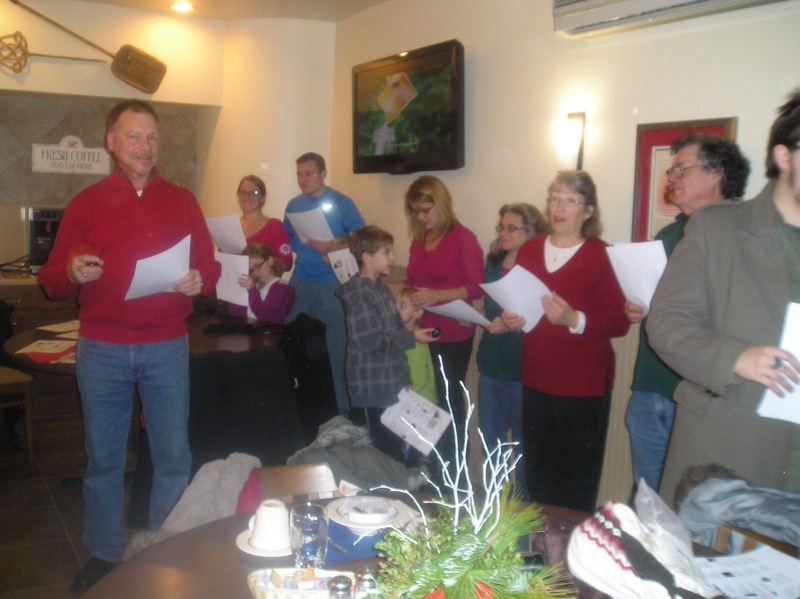 It was a wonderful evening for the carolers and residents alike! Besides community building and speading holiday cheer, the time bank members who participated also earned time for their account by offering the service of Marketing and Publicity to the Time Bank! We would love to have more events like this in our community. If you have ideas or suggestions, please feel free to email yorkcountytimebank@gmail.com or post to the Facebook page!